My name is Harry Jiménez. The Eco-Lodge is my personal endeavor to create a hotel that focuses on preservation and conservation while it brings each of its visitors all the comforts of home. 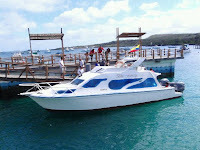 It is the base for our travels around the Islands. At the lodge, you will relax, swim, have wonderful meals, be introduced to our local culture and have private moments to contemplate and absorb the stunning sites and remarkable vistas that you are exposed to during each day of your stay. 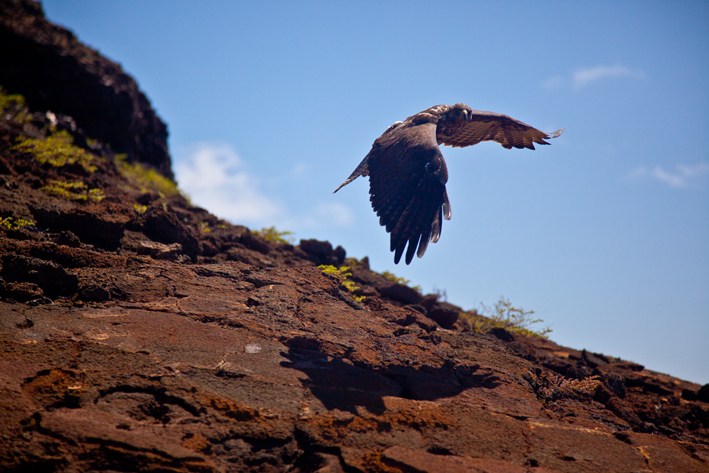 The Galápagos Eco Lodge is located on San Cristóbal Island, in the hills above the lively port of Puerto Baquerizo Moreno and the Pacific Ocean. The Lodge can be your home away from home while you visit the marvelous vistas and breathtaking scenery off the coast of San Cristobal. The lodge has comfortable and spacious rooms, and is built to make you feel like home while you are surrounded by the Lodge's beautiful plant life endemic to the Galápagos Islands. 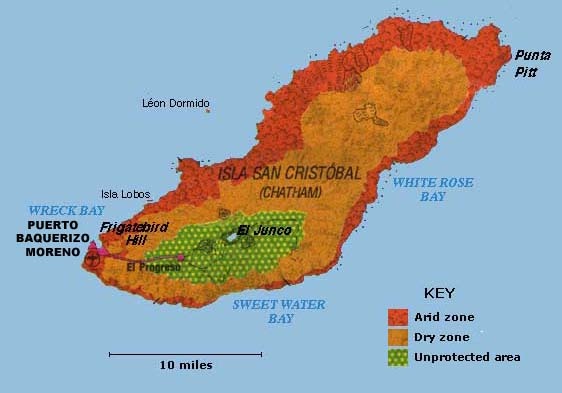 San Cristobal Island is the locale of one of the most important conservation efforts anywhere in the world and fully 60% of its power comes from wind turbines. The San Cristobal wind project is a prototype of similar experiments all over the globe. 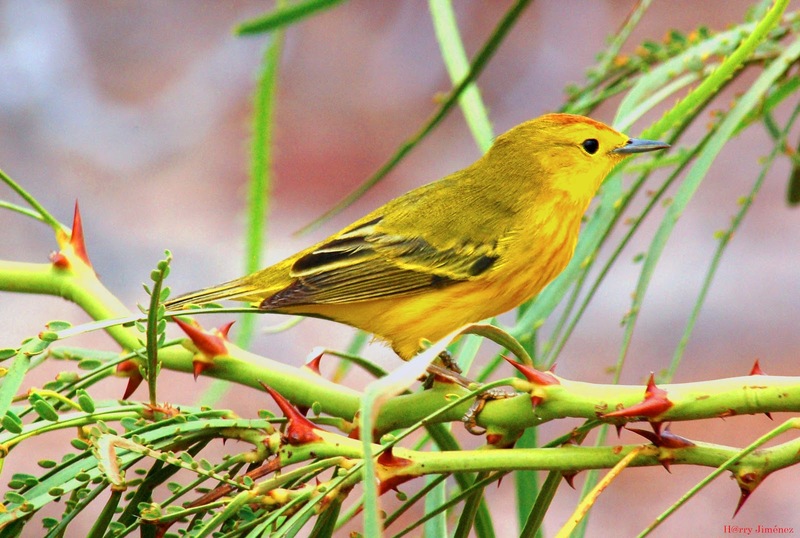 The Galapagos Eco Lodge adheres to these same principles of ecotourism and conservation. Our power too comes from wind turbines. Necessarily I did a great deal of research before embarking on this endeavor. I was inspired by and found the framework for my conservation and preservation efforts in the guidelines set forth by the The International Ecotourism Society (TIES). As a result, the hotel was designed and built using indigenous and, whenever possible, recycled building materials. Our guest rooms reflect our cultural heritage. We have created a truly beautiful outdoor area that makes the most of indigenous and endemic flora. The food we serve is always fresh and from local sources. In fact, we grow some of our own vegetables. Our water, energy and waste systems are all conservation oriented. 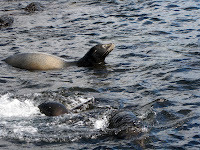 I am a citizen of the Galapagos Islands, specifically San Cristobal, as were my parents and grandparents. I grew up wandering the hills around my house, exploring the volcanoes and swimming and snorkeling in the Pacific Ocean. Mockingbirds woke me in the morning, iguanas climbed in our family’s garden and frigatebirds and pelicans sailed through the air and landed on our boat. 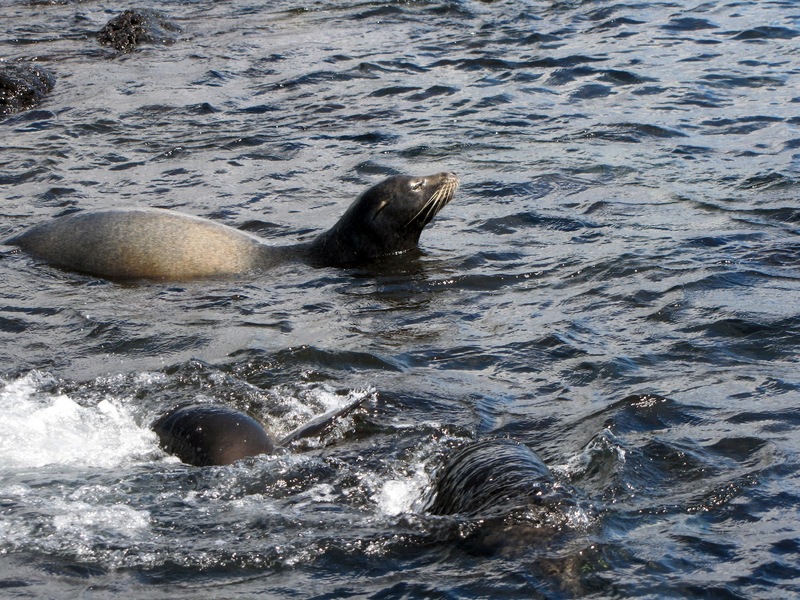 The sea lions, especially the little pups, were almost like pets hanging out on the pier, just as they do today. Every chance I could, I would be in the water playing with them. That hasn’t changed! I learned to scuba dive at age 11 and have scuba Dive Master credentials. 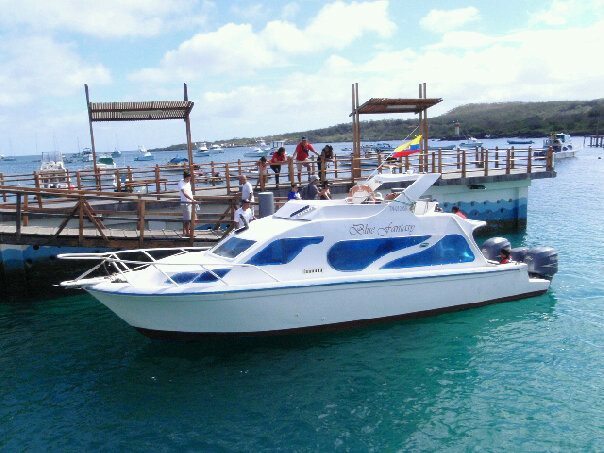 This ensures that since snorkeling, and for some SCUBA diving, is one of our activities during the trip, I will be able to show you the richness of the second largest Marine Reserve in the world. The joy that I have felt since my childhood is what I want to share with you. 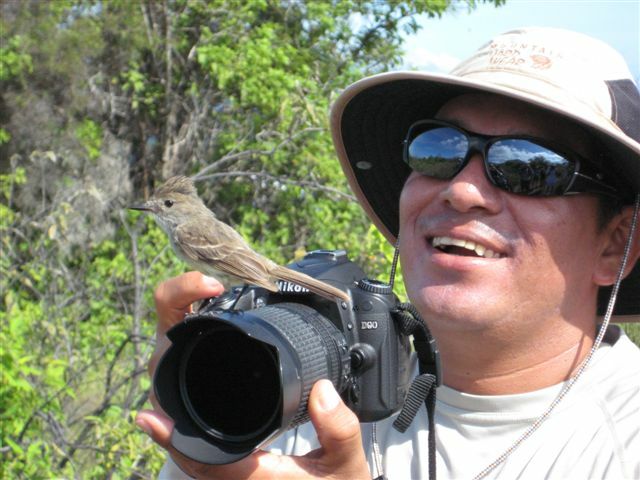 I have my naturalist certification from the National Park Services and have worked as a Naturalist Guide for more than 15 years. I continue to work as a naturalist for the most highly regarded as well as ecologically aware and committed companies in the Galápagos Islands; they are leaders on the application of conservation ideas, such as recycling, teaching, and planning the use of clean energy to reduce the impact in nature. My education includes concentrations in oceanography, marine biology, natural history and species development and survival. I am bilingual in Spanish and English. Trust me that a trip that you schedule through the Galapagos Eco-Lodge will reward you with unique experiences and provide you with the opportunity to discover a whole new world of natural wonders. If I can impart just a bit of what I have learned and what I love, then you will leave this part of our planet nourished, fulfilled and anxious to return. So be ready in body and mind for this once-in-a-lifetime travel experience. I have seen several Ecuador hotels, but nothing would be as beautiful as the eco-lodge. I will definitely like to be there.